The Skoda Citigo, which shares its underpinnings (and much of its body) with the Volkswagen Up and SEAT Mii, will be receiving a light facelift in 2017. The car will be shown for the first time at the Geneva motor show in March. It's a light faceflift, even though Skoda describes it as 'being presented with comprehensive upgrades to the exterior'. More interesting are the new safety features, connectivity options and infotainment improvements. 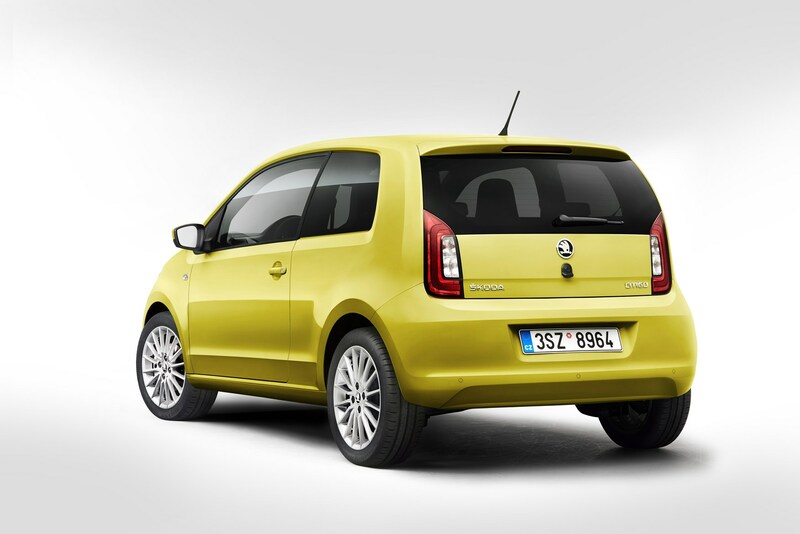 In reality, the changes to the box-like styling of the Citigo's styling are rather limited. There's a new bonnet, a redesigned radiator grille and restyled bumpers. New kit, but it looks pretty much the same as it was. There are new tail lamps as well as some lurid colour options. The headlights are fitted with LED daytime running lights with an optional cornering function. As we say, it's a light facelift. One of the many active safety features ensuring a high level of safety is the automatic braking function City Safe Drive. The optional Emergency Brake helps to prevent collisions in urban traffic. The assistance system is automatically activated at speeds between 3 and 19 mph. A laser sensor, which is integrated in the windscreen, scans a 10-metre area in front of the vehicle. In the event of an impending collision – if the driver does not react – the braking system is primed and the hydraulic Brake Assist function becomes more sensitive. If necessary, the system initiates a full application ofthe brakes to bring the car to a standstill or – if the driver is not braking hard enough – supports the driver by providing full braking force. Depending on the speed and the individual situation, City Safe Drive can thereby prevent a collision or at least considerably reduce the accident’s severity. 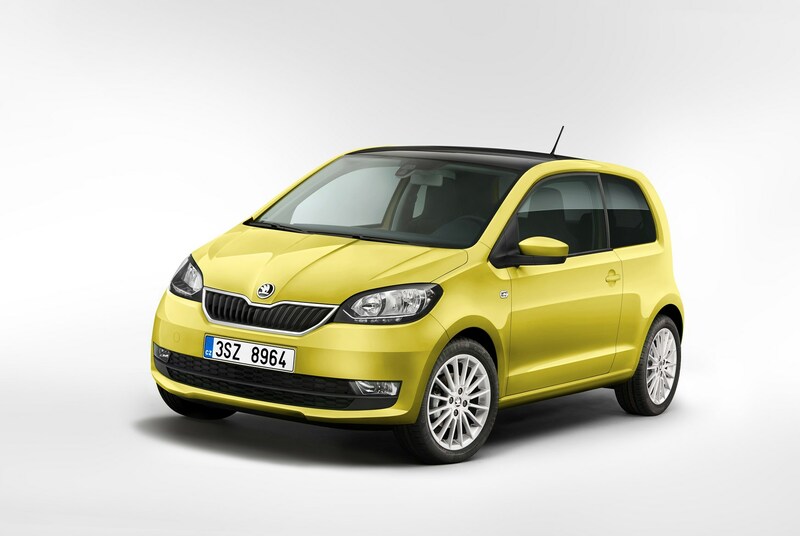 The ŠKODA CITIGO’s interior wows with a clean and clearly arranged design and layout of the instruments as well as with a two-colour dashboard in the higher trim levels. 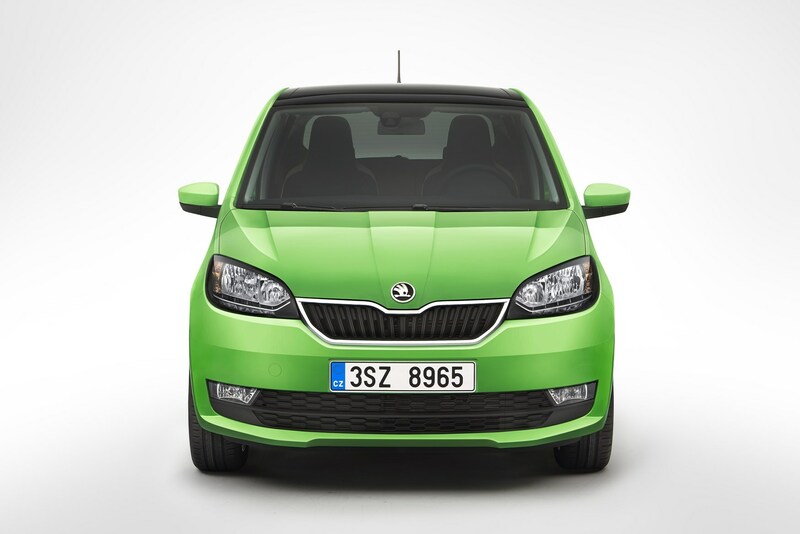 After the upgrade, the ŠKODA CITIGO’s interior is even more refined and more functional. The instrument cluster with speed indicator, rev counter and fuel gauge comes in a new design and is available in two different versions. The seats with integrated headrests provide good lateral support, radio and mobile phone can be operated on the optional multifunction leather steering wheel without the driver having to remove their hands. A high-resolution Maxi-DOT display as well as light and rain sensors are also optional. The new-generation Blues and Swing radio models offer many connectivity options – ranging from an aux-in socket to an SD card slot and a USB socket. A colour display, six speakers and a Bluetooth connection are added to the Swing variant. Using this, the system can be connected to the driver’s smartphone, which is stored in a special smartphone holder on the dashboard. The apps running on the iOS and Android smartphone operating systems provide navigation, a driving data display, hands-free phone calls as well as playing music and the radio. Many practical interior features underline the city runabout’s functionality. Storage compartments in the centre console and glove compartment, bottle holders (up to 1 litre) and cup holders are as practical as the multimedia cradle in the centre console. Nets inthe boot and practical storage nets on the front seats offer a variety of options to keep various small items safe. The Move&Fun app offers information and entertainment. The application is available for smartphones with iOS and Android operating systems. First, the smartphone is clicked into to the smartphone holder and a Bluetooth connection is established with the system. Contacts and playlists stored on the smartphone can now be accessed via the vehicle’s controls. The in-car computer provides information on fuel consumption and other useful information. The Move&Fun app’s DriveGreen function supports the driver in optimising their driving style. In addition, the app has a navigation function. The numerous ‘Simply Clever’ features include an umbrella under the passenger seat, a variety of storage compartments, cup and smartphone holders, a bag hook on the glove compartment and practical boot nets. Two modern three-cylinder petrol engines are available for the ŠKODA. The front-, transverse-mounted engines with a 1.0-litre capacity drive the front wheels. Despite their small capacity, the engines distinguish themselves through high torque with low noise levels. The entry-level engine is the 1.0 MPI with 60 PS and 95 Nm of torque at 3,000 rpm. 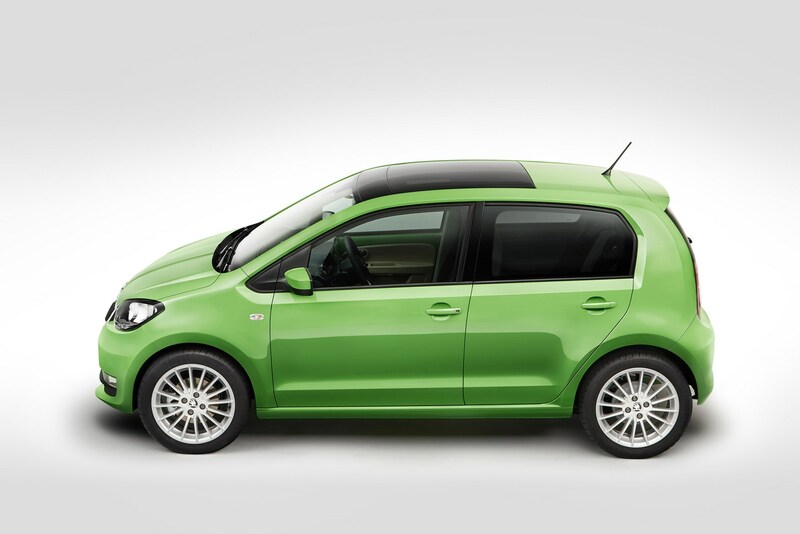 From a standing start, it accelerates the ŠKODA CITIGO to 62 mph in 14.4 seconds, reaches a top speed of 100 mph and averages 68.9mpg on the combined cycle. With the 75 PS 1.0 MPI, maximum torque of 95 Nm is available at 3,000 rpm. The additional power is due to the modified engine control of the three-cylinder model. It accelerates to 62mph in 13.5 seconds, reaches a top speed of 107 mph and averages 68.9mpg on the combined cycle. 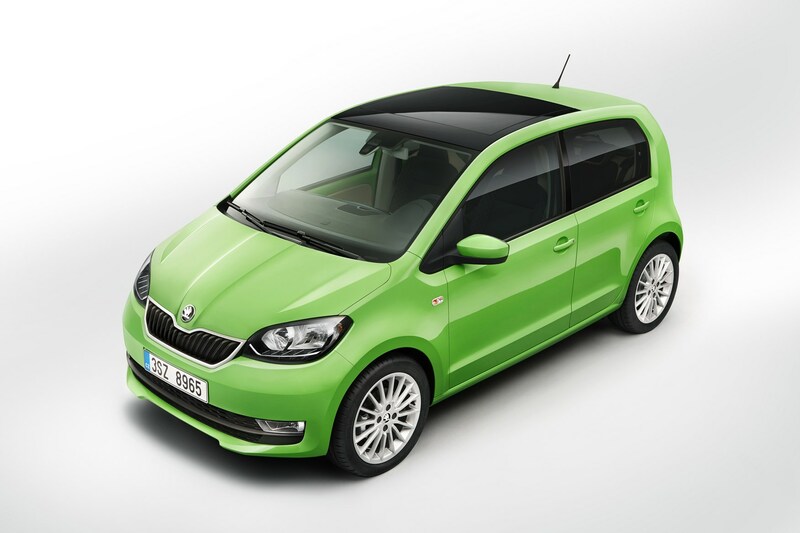 Skoda's Automatic Emergency Braking setup, known as City Safe Drive, is being rolled out on the Citigo. It works between 3-19mph, and will fully apply the brakes in a slow-speed emergency – hopefully avoiding an impending accident. It is also being offered with a new two-colour dashboard, which houses redesigned instuments. The happily-named Blues and Swing radio models get connectivity options – ranging from an aux-in socket to an SD card slot and a USB socket. You also get the option of using Apple CarPlay or Android Auto. Inside, there are many more storage compartments in the centre console and glove compartment, bottle holders and practical storage nets on the front seats. With the entry-level 1.0-litre MPI with 60hp, Skoda says it will get from 0-62mph in 14.4 seconds, and top out at 100mph. More importantly, it averages 68.9mpg on the combined cycle. It's also available with 75hp, which drops the 0-62mph time to 13.5 seconds, and on to 107mph. The claimed fuel consumption is also 68.9mpg. There are no official price details yet, but expect them to remain largely similar to the current model, reflecting similar thinking with the revised Skoda Octavia.